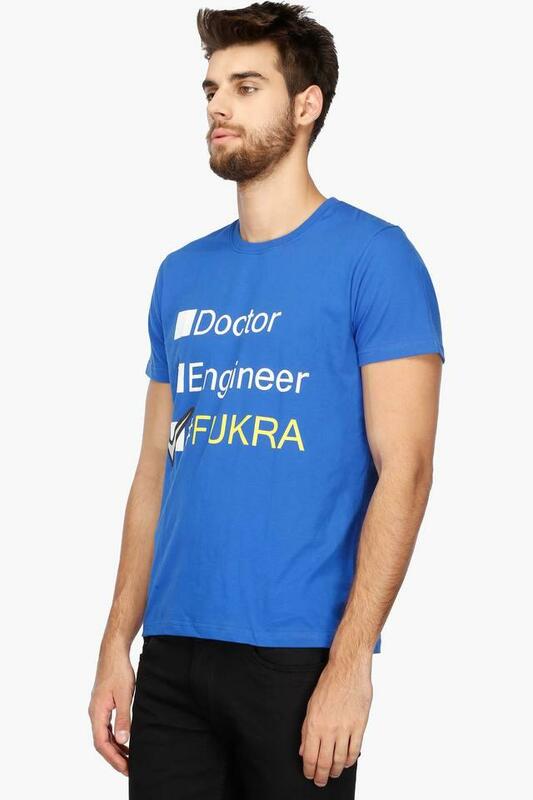 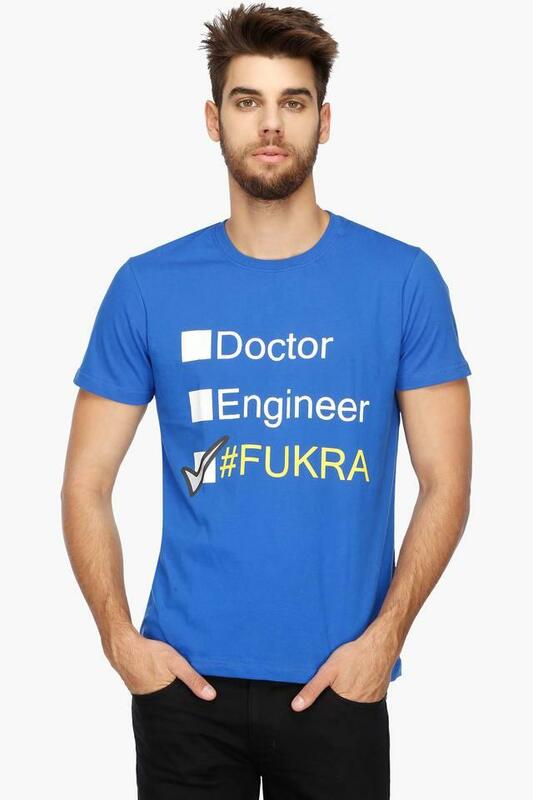 Being a fashion forward man, you will surely like this T-Shirt from Fukrey. 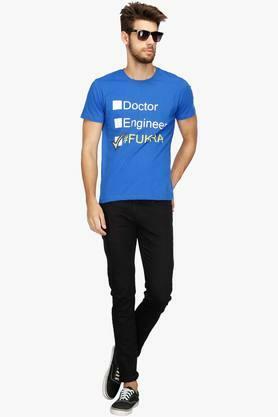 It flaunts a print pattern, which renders it classy while the round neck and short sleeves further add to its overall design. 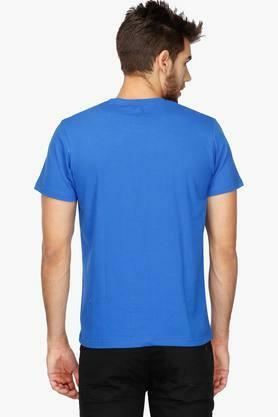 Above all, the use of cotton in its making ensures sheer comfort and a luxury feel. Be a trendsetter by wearing this T-Shirt with your favourite pair of jeans and sneakers. You can wear it while heading to an outing with friends or family.